Modernity, if it has been at all, has been many things at once. Preeminently it has entailed the quasi-alchemical, and periodically violent, transformation of substance into money and then back again. Sometimes that substance is called architecture. Sometimes that architecture is built; sometimes it is just drawn, modeled, rendered or otherwise made visible. In these processes power is exercised, always. One of the central questions of our time is thus: How and when is it possible to resist that power, to limit, redirect or neutralize it, or at least not to be seduced by it? This question cannot easily be asked by those who hold power within the relatively small field of architectural practice. Nor is it easy to ask within the elite, transnational cultural sphere in which architectural discourse takes its modest place. Which is not to say that oppositional discourses and practices do not exist; but it is to say that these can be rendered illegible simply by having been granted the curatorial privilege of sharing the international stage with what they oppose. In contrast, officially sanctioned architecture (urbanism likewise), in its unquestioning and cheerful complicity, affords well nigh unimpeded access to the logics of the world system — which access is invaluable to anyone who still thinks that cognitive maps of that system are required in order to transform it. Architecture meets its world most commonly in the international, transnational, translocal, global and otherwise border-violating and border-producing system of real estate, which, in addition to its usual guises, sometimes takes the form of cultural monuments, leisure palaces and other political-economic symbols. To cite one notable example: Zaha Hadid recently commemorated the deaths of hundreds of migrant construction workers who were building the infrastructure for the 2022 World Cup in Qatar, where her office is designing the Al Wakrah Stadium, with the following observation: “It is not my duty as an architect to look at it. I cannot do anything about it because I have no power to do anything about it.” 1 Well said, since the arrangement is straightforward enough: Power and prestige are conferred in the cultural realm, in exchange for silence in the political realm. In Qatar, as elsewhere, architecture reproduces capital within the shell of a “rising” nation-state, as a necessary if not sufficient ingredient in the battle for new markets and new hegemonies. In this case, the architect chooses sides; she cannot be for and against the same thing. But at this point the involutions of modernity become impressively baroque: For here is Hadid saying “I have nothing to do with the workers”; yet it was also Hadid who years earlier, rather famously, took inspiration from a Soviet avant-garde that spoke of nothing but solidarity with the workers. History works such perversions every day. In the Qatari case, Al Wakrah Stadium is but one component in a comprehensive project of converting oil money into a combination of cultural capital and real estate investment. This project also includes planned residential enclaves such as Lusail City, a “city with a vision” which according to the developers, the Qatari Diar Real Estate Investment Company, is “continually striving to improve and enhance people’s quality of life and abiding [by] the most stringent of international standards.” That such standards do not include the “quality of life” of those who are actually constructing Lusail City — where Foster + Partners is designing the stadium for the 2022 World Cup final — was disseminated and analyzed in media reports that led to Hadid’s exculpatory statements. 2 Such disingenuous statements in turn feed the more basic systems that allow the workers’ exploitation, including the real estate system that is producing and will profit from Lusail City. It is therefore impossible not to agree with “Fundamentals,” the curatorial program created by Rem Koolhaas for this year’s Architecture Biennale in Venice. The time has certainly come to get back to basics. Why not start with architecture? And why not do so by adding historical perspective. For the 65 national pavilions, Koolhaas has proposed distributing that perspective under the rubric “Absorbing Modernity: 1914-2014.” A century ago the First World War began; it was followed almost immediately, in Europe and in Russia, by revolution. Even the mercenary Le Corbusier felt compelled to address the ensuing drama (“Architecture or revolution?”). We are well placed to assess its consequences. But Koolhaas is not proposing any Nietzschean “transvaluation of values,” assisted by untimely histories; instead he seems initially to have construed fundamentals as the eternal recurrence, in the logical set called “architecture,” of twelve subsets: floor, door, wall, ceiling, toilet, facade, balcony, window, corridor, hearth, roof, and stair. In one of the Biennale’s exhibitions these are called the “Elements of Architecture,” and as such they represent what Koolhaas calls, in the Biennale program, “the fundamentals of our buildings, used by any architect, anywhere, anytime,” which are nevertheless to be understood as “unstable compounds” shaped by heterogeneous forces, from economics to mythology. True enough. Doors are volatile things. But is the list itself not also a particular way of making sense of the world, of giving order to things? Is it not, with its elements, an artifact of the very same modernity that is supposed to be absorbed in the pavilions by an unsuspecting globe? By the time the Biennale program was formally announced, the list of elements had grown from twelve to fifteen, with the evocative “hearth” changed to the pedestrian “fireplace,” and the signatures of the modern — escalator, elevator, ramp — added almost defensively, as if to fend off suspicions about the underlying atavism. Still, the question begs. So for the sake of argument, let’s imagine those added elements of vertical circulation to be assimilated into the lapidary “stair,” and stick for a moment with the original twelve. Regardless of how carefully they are defined, fundamentalisms remain just that, and Koolhaas has put an interesting one into circulation. It deserves a considered response, independent of (and in advance of) the exhibition itself. 3 To be sure, there is something archaic about the original list of twelve. It recalls typologies of yore, although it forswears the sacral meaningfulness of “type” for the seemingly more secular “element,” and in the process scales the whole thing down into what reads as a catalogue of utilitarian architectural products stored on the shelves of history. And to the extent that they are commodities (as architectural things mostly became in the 20th century), products are also fetishes. There is in fact a distinct air of the fetish, and hence of the sacred and the magical, in the invocation of “architecture” itself as a timeless set of logical subsets. Indeed, a sacred universality and timelessness (“anywhere, anytime”) is part of what makes that set modern. Besides which, twelve is just such a good, devout number, not least because it might inspire those inclined to notice the magical qualities of sets to speculate further on an accursed Fundamental #13. Magic makes things disappear. To compensate, I respectfully suggest a 13th fundamental that can, in the era of globalization, bring dead things to life. Prosaically, we can call this 13th element “land,” or again, in modern terms, “real estate.” Lucky 13: the joker, the wild card. You might protest that the land under a wall or under a floor is hardly an architectural element, and you would be right. But that is what makes it fundamental; all the rest is inconceivable without it. Land frames the set called “architecture” without itself becoming a member of that set. Even the 20th century’s most inveterate spaceman, Richard Buckminster Fuller, needed a small parcel on which to plant his hovering Dymaxion houses and his geodesic domes. Fuller built a whole theory of dwelling around the earthbound core (which, by the way, contained at least three other fundamental elements: toilet, hearth, and elevator/stair). Nor did he imagine that “land” is limited to the Earthly domain; after all, space, too, can be colonized. Fuller’s transnational career happens to be smack in the middle of the period that Koolhaas has asked the curators of the Biennale’s national pavilions to consider. But the modernity he appears to have had in mind for them is relatively narrow. It encapsulates only the hundred-year phase-change from distinct national architectures to a “single modern language,” with “hidden ways of remaining ‘national’” nipping at the heels. Needless to say, this is a tendentious, culturalist argument that labors under the European 19th-century concept of “style,” whether national or international in character. It is anachronistic if not tautological (historically, “style” and “nation” go together), and in any case Koolhaas is not talking about modernity, to which all nationalisms belong. He is talking about globalization. His more timely observation that globalization does not necessarily lead to monoculturalism is keen enough, but it evades the central issue. To state that issue succinctly, we would do well to adapt a recent formulation from Gayatri Chakravorty Spivak: “Globalization takes place only in capital and data. Everything else is damage control.” 4 Simplified for our immediate context, this might read: “Globalization takes place only in real estate. Everything else is damage control.” With “everything else” being Fundamentals 1 through 12. This simplification makes it clear that in speaking narrowly of “land” or “real estate,” we are temporarily pinpointing elusive “global” things, like oil money. Why then no actual fundament, no ground, no land, on the Biennale agenda, except perhaps (in the pavilions and in Koolhaas’s “Monditalia”) that of the vanishing nation itself? Call it triskaidekaphobia, a fear of Fundamental #13 that performs its own sleight-of-hand to fend off the magical erasure of history by capital. Quite uncharacteristically for the worldly Koolhaas, this manifests as a hesitation before what is arguably the one truly globalizing force, which must be bracketed out in order to study secondary qualities as if they were primary. Again you will protest. For once, you will say, the Biennale is about architecture and only architecture — not stardom, not urbanism, not site, not landscape, not war, not poverty…. But that is the beauty of it. The old modernist question Is it art?, posed by Marcel Duchamp via a disconnected urinal, is a question from 1917. By 2014, architecture is all too easily sanctified as an artwork by virtue of its profane essence as a toilet (Fundamental #5). Whereas a real toilet, like all the other elements on the list, is nothing but an infrastructural hookup, an interface that connects any building that has one (and remember, not all buildings do) to a plumber’s nest of pipes, drains and sewers, and with these, to municipal regulations, chemical formulas and taxes. What is more, with every flush, a toilet reenacts primary architectural distinctions — between inside and outside, signal and noise, utility and waste — that are more genuinely, if precariously, fundamental than are the toilet’s elemental characteristics, especially in the era of globalization. The flip side of the bibliography’s limited scope is the universal task of learning how to read it. That is, learning to read real estate as a contingent historical construction, in relation to architecture. Which is not the same as reading the signs stuck into the lawn by the real estate agent to advertise the qualities of a particular lot, as when Denise Scott Brown and Robert Venturi spoke about reading the “signs of life” in American suburbia. Rather, I mean interpreting land — real estate — as an infrastructural system. Infrastructure is what repeats. We expect water to flow from the tap each time we turn the faucet, and we consider the system itself only when it fails to perform. Land, in the modern form of real estate, is a primary infrastructural element; so thoroughly do we take its repetitions for granted — its simple persistence, its staying put while changing hands through property deeds, state expropriations, declarations of eminent domain, sales, leases, etc. — that considering it in any detail reveals its systemic character. It follows that detaching architecture from what lies beneath it will divert our attention away from the real estate developer, the banker, the state, or the client’s client. But nor does the idea of fundament or ground explain very much, precisely because the circulation of land as real estate pulls the rug out from under the building, so to speak. Consider the American case. In 1987, Marc A. Weiss published The Rise of the Community Builders: The American Real Estate Industry and Urban Land Planning, which charts the emergence, during the first half of the 20th century, of the real estate developer amid the upheavals of a suburbanizing United States. Weiss, who holds a doctorate in city and regional planning from Berkeley, was for a time director of the Real Estate Development Research Center at Columbia; today, he heads Global Urban Development, a non-profit policy group with offices worldwide. Though lacking a noticeably critical perspective, even now Weiss’s book tells us much about how the American real estate system came to be, as industry and government synchronized a national imaginary. Its status as a national project places that system right alongside those strenuous, early-20th century efforts to define national architectures that Koolhaas observes. The book does not address the question of how the American system might or might not relate to the global one in which its author now works. To do so, while helpful, would be somewhat redundant, since Weiss is in fact narrating a history of globalization, not as an American export, but as a process that depends upon the nation-state rather than simply leaves it behind. The Rise of the Community Builders details the formation of what became the largest sector in the American real estate market: planned suburban residential development. The “community builders” are those businessmen who transformed a piecemeal land and housing market at the urban periphery into a one-stop shop for single-family suburban homes. In different combinations, they consolidated various activities — site acquisition, planning, construction, financing, insurance and marketing — into an integrated ensemble that we still assume to be the purview of the real estate developer. The community builders were subdividers. They purchased large, undeveloped tracts of land, usually at some accessible driving distance from a city or a large town, laid out street patterns and utility grids, divided the land into smaller parcels, and built residential neighborhoods on those parcels. Although by the 1930s this was common practice nationwide, California was its biggest laboratory, and Weiss treats the early history of that state’s real estate boards, regulatory agencies and zoning legislation as a case study in the general process. Far from being anti-government, developers gradually recognized that government regulations were in fact useful in advancing their interests. Regulation meant stability and predictability, which was good for business. The larger developers therefore organized themselves into lobbying groups. In California, the most important of these was the California Real Estate Association; nationally, it was the National Association of Real Estate Boards. The principal aim of these groups was to steer federal, state and municipal government toward coordinating traffic arteries and other infrastructures in the suburban hinterlands, ideally at state expense, in order to standardize outcomes and frame the housing market with common expectations. Frequently, the requisite regulations were initiated by the developers and only later taken up by municipalities. They often extended to the design and engineering of the houses themselves, as well as to the inhabitants of those houses. Larger developers tended to favor design regulations, which added predictability to a market where buyers were uncertain about the future of the neighborhood in which they were investing; smaller builders were more circumspect, mainly due to the added expense. At their own initiative, for example, large developers often imposed stringent deed restrictions with openly racial criteria. Acknowledging these, Weiss is astonishingly silent about the fact that the “community” being built, bought and sold was thereby fundamentally racialized. Infrastructural elements like ownership contracts performed basic acts of subdivision, not only of the land but also of the people. Deeds and covenants became apparatuses of exclusion to limit perceived investment risks. 6 Across the United States, entire “communities” were built around such exclusions, which were formulated by market actors, such as real estate developers, in partnership with state actors, such as legislators, working in the common interest of stabilizing property values in a volatile, speculative environment. Then there was the matter of how to measure and divide the land. Since colonial times, the prevalent method for tracing property lines was known as metes and bounds, which is a narrative technique for measuring out property in relation to natural or artificial landmarks. Its empirical, step-by-step character (start here, measure to there, etc.) makes metes and bounds inherently contestable, or subject to unverifiable modification. In California as elsewhere, this led to numerous ownership disputes, particularly in the case of properties subdivided in this manner by smaller developers, known as “curbstoners.” The large community builders persistently sought to outlaw such practices, and eventually succeeded. Curbstoners tend to appear in Weiss’s book as crooks or incompetents. Title insurance companies don’t trust their metes and bounds surveys and hence refuse to issue guarantees; unsuspecting clients make their payments only to discover that title was never properly secured; and so on. Community builders are the story’s flawed heroes. Never shy about backroom politics, these developers integrated their civic role with their financial goals by colluding with the state to manage markets and minimize risk. The key term is the public-private partnership. At this point, we are surely floating well above (or burrowing well below) the house itself. Technical instruments, however, do not lie. The FHA’s extensive Underwriting Manual outlined criteria by which properties were to be appraised, effectively nationalizing the standards that real estate developers had already been implementing in their deed restrictions and neighborhood layouts. A silent ideological consensus held that what was good for real estate developers was good for the country. One FHA circular said it out loud: “There exists, therefore, a natural union between the operative builder and the Administration in bringing about improvement in housing standards and conditions.” 10 On the ground, this “natural union” was brought about by techniques for measuring and mapping the land, determining street layouts, calculating density, and — more tacitly, but with unflinching firmness — specifying a house type, complete with what visitors to this year’s Venice Biennale will surely recognize as Fundamentals 1 through 12. There is very little in this story that would be mistaken for architecture; there is much, however, that is architectural about it. By this I mean, among other things, the infrastructural repetition that implacably demarcates inside from outside, mine from yours, you from them. In the end, the question remains open as to whether the repetitions performed by the land underneath the house are more elemental than those performed by the house itself. What is clear is that the latter requires the former. Not as ground, or fundament, but as a kind of magic carpet on which to be borne by modernity’s currents. Which is to say that the reliable repetitions had ceased. What propped up the walls, and the inside-outsides those walls performed, had broken down. Nothing here suggests direct causality, but take the infrastructures and imaginaries of real estate away, and history changes. That is because architecture is never simply window-dressing for power (Fundamental #8). At its most basic, most architectural level, it is what calls power forth, out of the night, gun in hand. And power is nothing but a primary insecurity, a calculated risk. To sever instances of “architecture” from the deaths of indentured construction workers on a building site in Qatar, or from the property lines measured out at Twin Lakes, is an elemental act, comparable to flushing a toilet, turning on the water, or switching on a light. Repeated countless times, such acts make the world system work. With increasing regularity, architecture interfaces with that system and replays its protocols through the infrastructures of real estate. Understanding these infrastructures, and contesting their hegemony with that knowledge, is therefore as basic as it gets. No one is saying that the underlying barbarism can be undone by architectural fiat. But, in the spirit of “Fundamentals,” and of the enlightened modernity that the exhibition’s thesis may not yet have entirely absorbed, a little history is a good place to start. Compiled by Erik Carver, Leslie Klein, Jacob Moore, Pollyanna Rhee, Susanne Schindler, Jack Schonewolf, Manuel Shvartzberg Carrió, at the Temple Hoyne Buell Center for the Study of American Architecture, Columbia University. The above essay has also benefitted from the group’s discussion and research in relation to the Buell Center exhibition “House Housing: An Untimely History of Architecture and Real Estate in Nineteen Episodes,” Casa Muraro, Venice, June 5-16, 2014. Acharya, Viral V., Matthew Richardson, Stijn Van Nieuwerburgh and Lawrence J. White. Guaranteed to Fail: Fannie Mae, Freddie Mac, and the Debacle of Mortgage Finance. Princeton: Princeton University Press, 2011. Banner, Stuart. American Property: A History of How, Why, and What We Own. Cambridge: Harvard University Press, 2011. Bernstein, Peter L. Against the Gods: The Remarkable Story of Risk. New York: John Wiley and Sons, 1996. Bodfish, Henry Morton. History of Building And Loan In The United States. Chicago, United States Building and Loan League, 1931. Brown, S.J. and C.H. Liu, Eds. A Global Perspective on Real Estate Cycles, The New York University Salomon Center Series on Financial Markets and Institutions, Vol. 6, Springer, 2001. Calder, Lendol Glen. Financing the American Dream: A Cultural History of Consumer Credit. Princeton: Princeton University Press, 1999. Cohen, Lizabeth. A Consumer’s Republic: The Politics of Mass Consumption in Postwar America. New York: Alfred A. Knopf, 2003. Davies, Pearl Janet. Real Estate in American History. Washington, DC: Public Affairs Press, 1958. 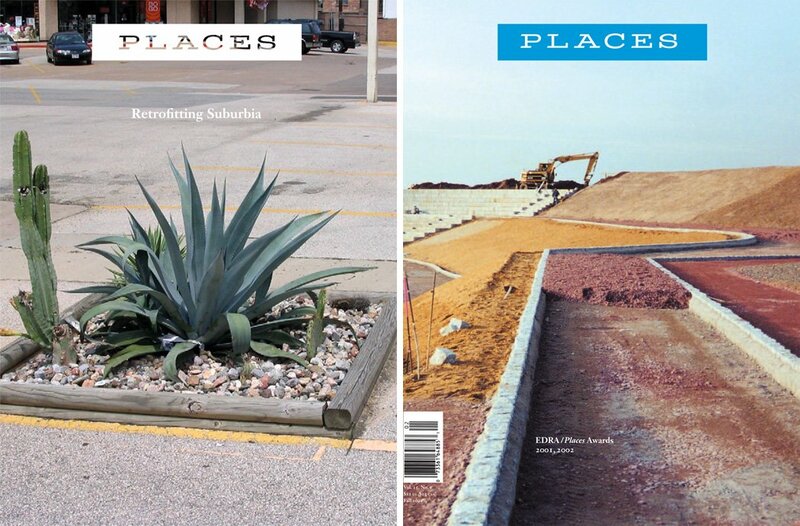 Diaz, David R. Barrio Urbanism: Chicanos, Planning, and American Cities. New York: Routledge, 2005. Edel, Matthew. Shaky Palaces: Home Ownership and Social Mobility in Boston. New York, Columbia University Press, 1984. Eischler, Ned. The Merchant Builders. Cambridge: MIT Press, 1982. Esperdy, Gabrielle. Modernizing Main Street: Architecture and Consumer Culture in the New Deal. Chicago: University of Chicago Press, 2008. Fainstein, Susan. The City Builders: Property Development in New York and London, 1980-2000. 2nd ed. Lawrence, KS: University Press of Kansas, 2001. Fishback, Price V., Jonathan Rose and Kenneth Snowden. Well Worth Saving: How the New Deal Safeguarded Home Ownership. Chicago: University of Chicago Press, 2013. Floyd, Charles F. and Marcus T. Allen. Real Estate Principles, 7th ed., Chicago: Dearborn Real Estate Education, 2002. Freund, David. Colored Property: State Policy and White Racial Politics in Suburban America. Chicago: University of Chicago Press, 2007. Gotham, Kevin Fox. Race, Real Estate, and Uneven Development: The Kansas City Experience, 1900-2000. Albany: State University of New York Press, 2002. Gyger, Helen. The Informal as Project: Self-Help Housing in Peru. Ph.D. dissertation, Columbia University, 2012. Hagerty, James R. The Fateful History of Fannie Mae: New Deal Birth to Mortgage Crisis Fall. Charleston, SC: The History Press, 2012. Harris, Richard. “The Birth of the Housing Consumer in the United States, 1918-1960.” International Journal of Consumer Studies, Vol. 33 No. 5 (2009), 525-532. Harris, Richard. Building a Market: The Rise of the Home Improvement Industry, 1914–1960. Chicago: University of Chicago Press, 2012. Hirsch, Arnold. Making the Second Ghetto: Race and Housing in Chicago, 1940 – 1960. Chicago: University of Chicago Press, 1998. Hornstein, Jeffrey M. A Nation of Realtors: A Cultural History of the Twentieth-Century American Middle Class. Durham: Duke University Press, 2005. Hyman, Louis. Debtor Nation: The History of America in Red Ink. Princeton: Princeton University Press, 2011. Jackson, Kenneth T. Crabgrass Frontier: The Suburbanization of the United States. New York: Oxford University Press USA, 1985. Jackson, Kenneth. “Race, Ethnicity, and Real Estate Appraisal: The Home Owners Loan Corporation and the Federal Housing Administration,” Journal of Urban History 6 (4): 419-52. Johnson, David E. Fundamentals of Land Development: a real-world guide to profitable large-scale development.Hoboken: J. Wiley and Sons, 2008. Kramer, Carl E. “The Evolution of the Residential Land Subdivision Process in Louisville, 1772-2008,” The Register of the Kentucky Historical Society, Vol. 107, No. 1 (Winter 2009), 33-81. Loeb, Carolyn. Entrepreneurial Vernacular : Developers’ Subdivisions in the 1920s. Baltimore: Johns Hopkins University Press, 2001. Massey, Douglas. American Apartheid: Segregation and the Making of the Underclass. Cambridge: Harvard University Press, 1998. Massey, Jonathan. “Risk and Regulation in the Financial Architecture of the American House.” in Aggregate Architectural History Collaborative, Governing by Design: Architecture, Economy, and Politics in the Twentieth Century. Pittsburgh: University of Pittsburgh Press, 2012. Mayer, Martin. The Builders: Houses, People, Neighborhoods, Governments, Money. New York: W. W. Norton & Company, 1978. Miles, Mike E., Gayle Berens, Marc A. Weiss, and Urban Land Institute. Real Estate Development : Principles and Process. 3rd ed. Washington, D.C.: Urban Land Institute, 2000. Nicolaides, Becky. My Blue Heaven: Life and Politics in the Working-Class Suburbs of Los Angeles, 1920 – 1965. Chicago: University of Chicago Press, 2002. Osman, Suleiman. The Invention of Brownstone Brooklyn: Gentrification and the Search for Authenticity in Postwar New York. New York: Oxford University Press, 2011. Perin, Constance. Everything in Its Place: Social Order and Land Use in America. Princeton: Princeton University Press, 1977. Rilling, Donna. Making Houses, Crafting Capitalism. Philadelphia: University of Pennsylvania Press, 2000. Rome, Adam. “Building On the Land: Toward an Environmental History of Residential Development in American Cities and Suburbs, 1870-1990, Journal of Urban History, Vol. 20, No. 3, May 1994, 407-434. Rome, Adam. Suburban Sprawl and the Rise of American Environmentalis. New York: Cambridge University Press, 2001. Sagalyn, Lynne B. “Conflicts of Interest in the Structure of REITs.” Real Estate Finance, Volume 13, Issue 2 (June 1996), 34-51. Segrue, Thomas and Kevin M. Kruse. The New Suburban History. Chicago: University of Chicago Press, 2006. Snowden, Kenneth A. “The Anatomy of a Residential Mortgage Crisis: A Look Back to the 1930s,” Working Paper, The National Bureau of Economic Research, July 2010. Snowden, Kenneth A. “Mortgage Banking in the United States, 1870-1940,” Special report of the Research Institute for Housing America, Mortgage Bankers Association, Oct. 28, 2013. Snowden, Kenneth A. and Jonathan Rose. “The New Deal and the Origins of the Modern American Real Estate Loan Contract,” Working Paper, The National Bureau of Economic Research, Sept. 2012. Stevens, Sara Kathryn. Developing Expertise: The Architecture of Real Estate, 1908-1965. Ph.D. Dissertation, Princeton University, 2012. Vale, Lawrence. From Puritans to Public Housing: Public Housing and Public Neighborhoods. Cambridge: Harvard University Press, 2000. Von Hoffman, Alexander. “Calling Upon the Genius of Private Enterprise: The Housing and Urban Development Act of 1968 and the Liberal Turn to Public-Private Partnerships,” Studies in American Political Development, 27 (October 2013), 165-194. Weise, Andrew. Places of Their Own: African American Suburbanization in the 20th Century. Chicago: University of Chicago Press, 2004. Weiss, Marc A. “Researching the History of Real Estate,” Journal of Architectural Education, Vol. 11, No. 3, Spring 1988, 38-40. Weiss, Marc A. The Rise of The Community Builders: The American Real Estate Industry and Urban Land Planning. New York: Columbia University Press, 1987. Wiedemer, John P, Joseph E. Goeters and J. Edward Graham, Real Estate Investment. 7th ed. Mason, OH: South-Western Cengage Learning, 2011. Wolf, Peter M. Land in America: Its Value, Use and Control. New York: Pantheon, 1981. Wyly, Elvin, C. S. Ponder, Pierson Nettling, Bosco Ho, Sophie Ellen Fung, Zachary Liebowitz and Dan Hammel. “New Racial Meanings of Housing in America,” American Quarterly, Vol. 64, No. 3, Sept. 2012, 571-604. Zipp, Samuel. Manhattan Projects: The Rise and Fall of Urban Renewal in Cold War New York. New York: Oxford University Press, 2012. Pete Pattisson, “Revealed: Qatar’s World Cup ‘Slaves,’” The Guardian, 25 September 2013. For more on architecture and labor, see Who Builds Your Architecture? Disclosure: As director of Columbia’s Buell Center for the Study of American Architecture, I am co-curator of “House Housing,” an off-site installation in Venice that coincides with the Biennale’s opening. Most accounts date Portman’s trip to 1979, but the delegation, led by Governor George Busbee, visited in 1980. “Trade with China Two-Way Street — Busbee,” Rome News Tribune, Wednesday 21 May 1980. See also Jonathan Massey, “Risk and Regulation in the Financial Architecture of American Houses,” in Aggregate, Governing by Design: Architecture, Economy and Politics in the Twentieth Century (Pittsburgh: University of Pittsburgh Press, 2012). Marc A. Weiss, The Rise of the Community Builders: The American Real Estate Industry and Urban Land Planning (New York: Columbia University Press, 1987),142. Weiss, The Rise of the Community Builders, 142. Weiss, The Rise of the Community Builders, 145. Federal Housing Administration, Operative Builders, Circular No. 4, 15 December 1934 (Washington: U.S. Government Printing Office, 1934), quoted in Weiss, 146. Sometimes buildings are just born bad. A tour of evil architecture in books and movies. An exploration of innovative projects that conceptualize air — the atmosphere that surrounds us — as a dynamic and even political component of buildings and landscapes. As an economist, I have always been perplexed by the way architects use the term "modernity". I suspect they mean industrial capitalism. Am I correct?